Arsenal's youngsters could be given a chance to impress Unai Emery in the EFL Cup quarter-final against Tottenham on Wednesday. 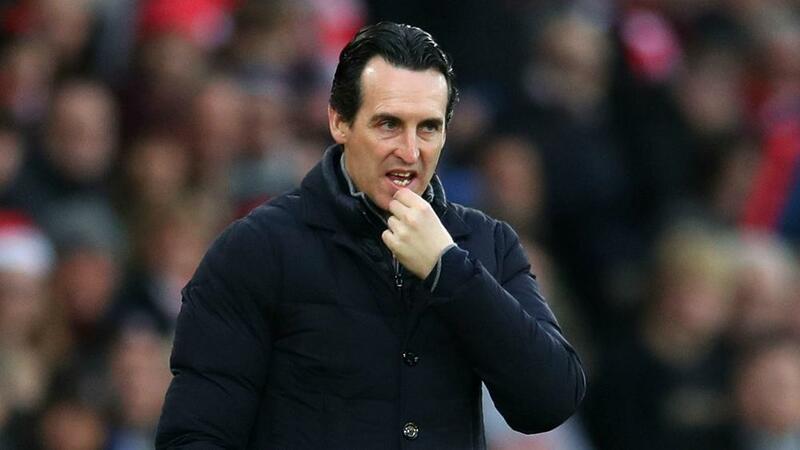 Unai Emery is confident Arsenal's youngsters can help them bounce back from their defeat to Southampton when they face north London rivals Tottenham in the EFL quarter-finals on Wednesday. Arsenal's 22-game unbeaten run came to an end at Southampton on Sunday as Ralph Hasenhuttl claimed his maiden victory in charge of Saints with a 3-2 success. The Gunners face Spurs on Wednesday in a repeat of a game they won 4-2 this month and, despite the need to get back on track, Emery is ready to entrust his younger players with the task of securing the win that would take Arsenal into the semi-finals. The likes of Ainsley Maitland-Niles and Eddie Nketiah could therefore come into consideration for starts. "Our first idea is that we play with the best players that we can use in this derby," Emery told a news conference on Tuesday. "The opposition is very big and it's demanding a big performance from us tomorrow. "We can use some young players because we think with a big performance, they can help us win. "Sunday for us is a big reality check in our way. We need to improve and also we need to continue doing our way in our process. "It's not a good result but this reality gives us more motivation to continue to work hard, finding a new thing to work on each day, and also it makes us demand a lot from ourselves in the way we work on this way." Emery has had to deal with defensive injuries and suspensions in recent weeks and Arsenal may be depleted in that region again on Wednesday. Though Stephan Lichtsteiner is fit, Hector Bellerin, Sead Kolasinac and Shkodran Mustafi are all carrying problems and will be assessed ahead of the game. Whoever plays at the back for his side, Emery is looking for a defensive improvement. "We need to improve by not conceding as many chances to the opposition," he said. "A clean sheet is very important in each match. Tomorrow is the next.